Although they do exist, there are few examples of Anna Wintour wearing jeans over the years, but that certainly doesn't mean she dislikes them. 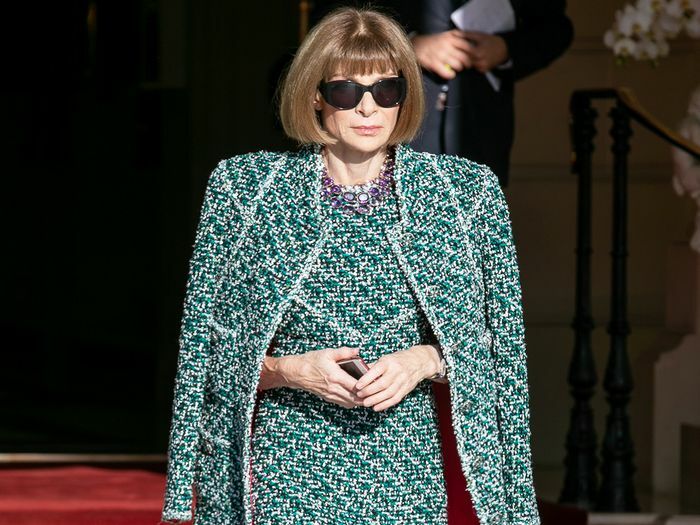 In the latest edition of Vogue's video series "Go Ask Anna," one of the questions that came Wintour's way was "Is there anywhere you shouldn't wear jeans?" Wintour promptly explains that jeans are great and she loves them, but that there are times when they're not the most respectful choice. Wintour first lists Buckingham Palace and the White House, but the third occasion surprised us a bit. She emphatically said, "You should definitely not wear jeans when you're meeting your future in-laws for the first time." Now, it's easy to see why this statement would be controversial and have quite a few exceptions. For example, what if you're meeting them somewhere particularly casual where anything more than jeans would feel out of place? We're thinking that Wintour would argue that there are plenty of other pieces that are equally casual yet more polished, like wide-leg cropped trousers. Whatever your opinion, there's no denying that Wintour knows what she's talking about, and if you want to err on the side of caution when meeting said future in-laws, follow her advice and don't wear jeans. Keep scrolling to watch the video and shop chic alternatives to jeans. Next up, 5 basics everyone should own, according to Anna Wintour.